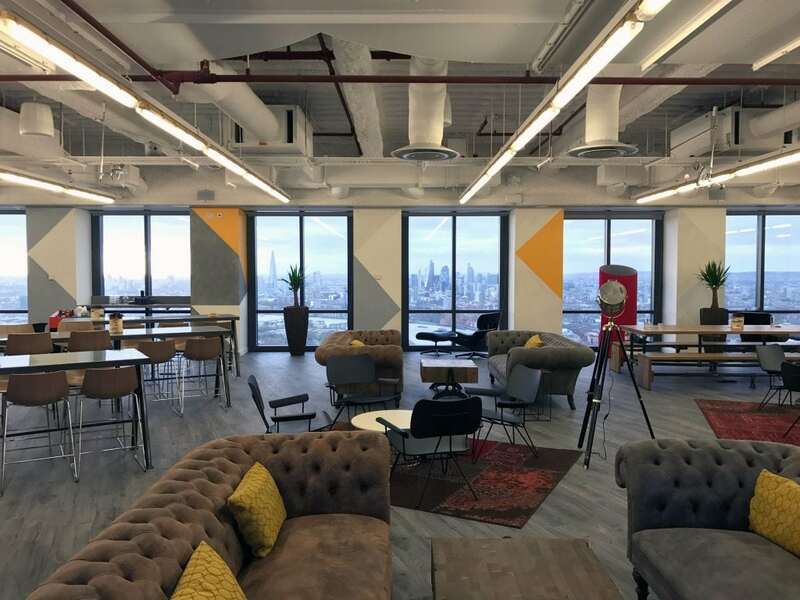 Canary Wharf’s Level39 is home of the world’s most connected tech community, providing office space for tech companies with 1 to 100 employees. 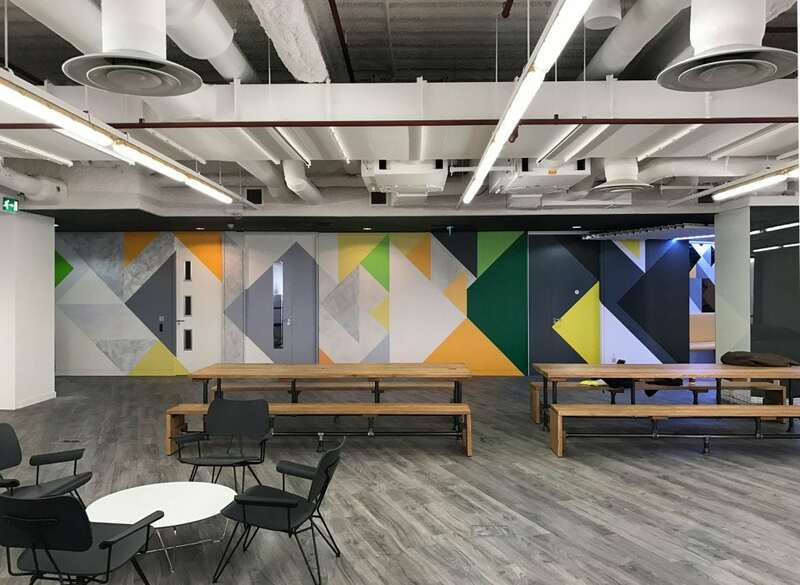 They asked us to transform their co-working and event spaces. 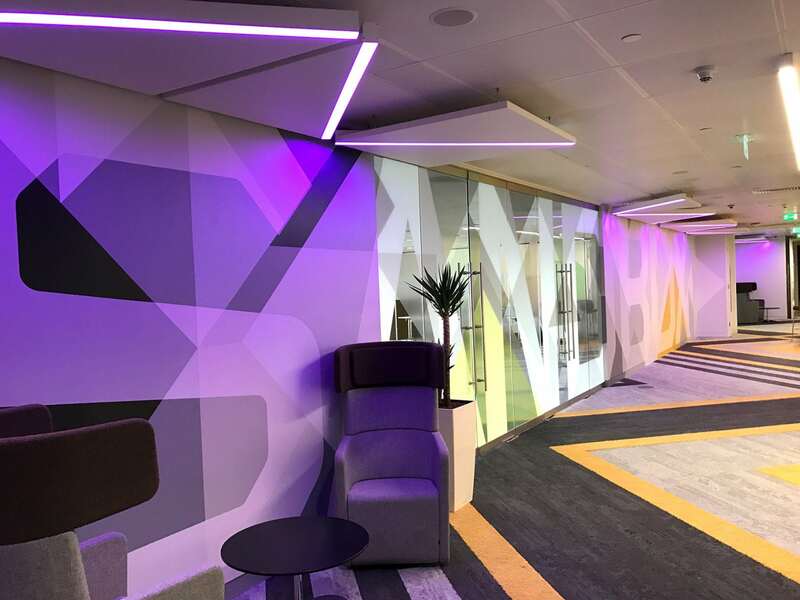 The design needed to reflect Level39’s brand and business ethos and philosophy of leading a new wave of global innovation, collaboration and nurturing business growth. 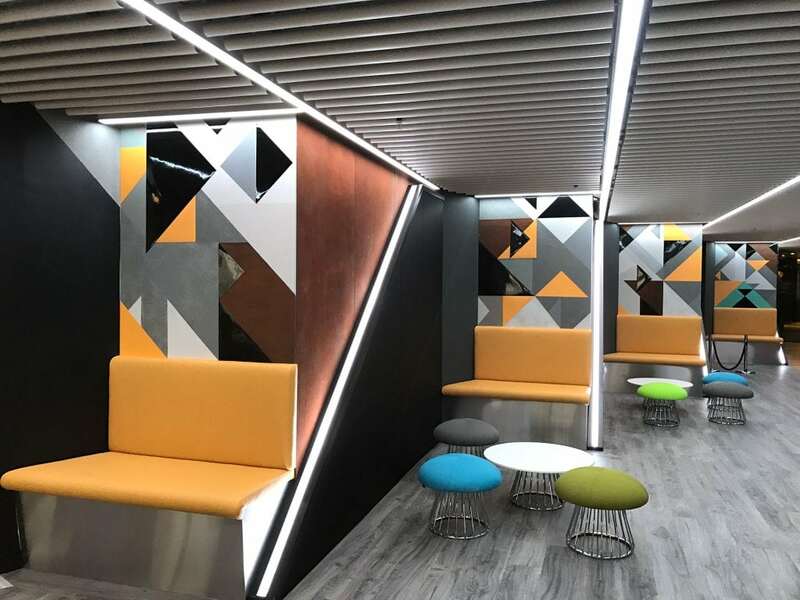 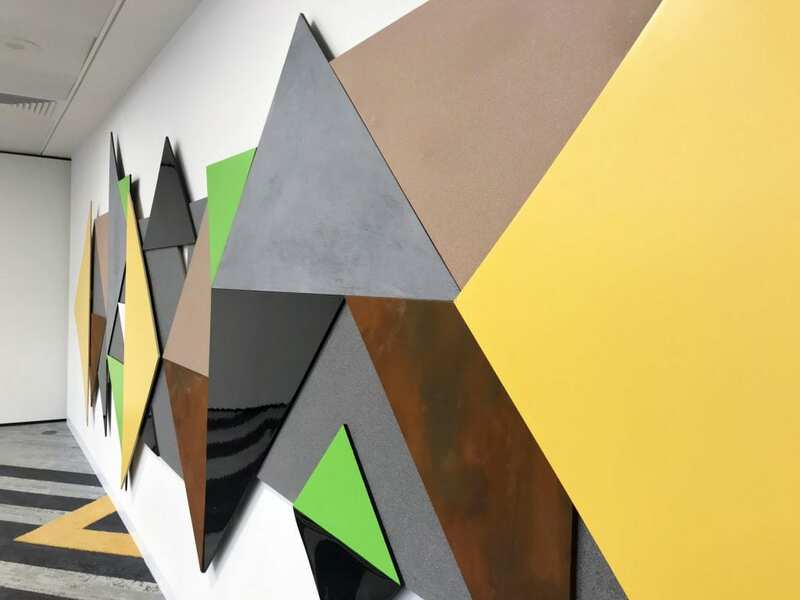 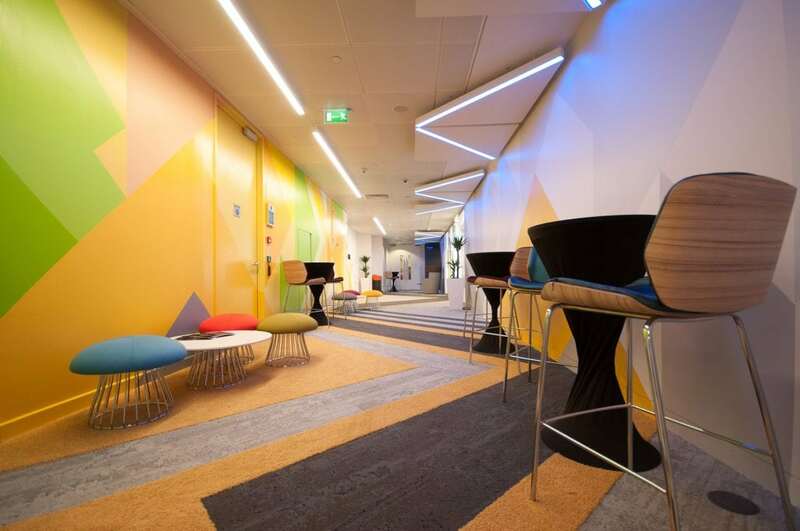 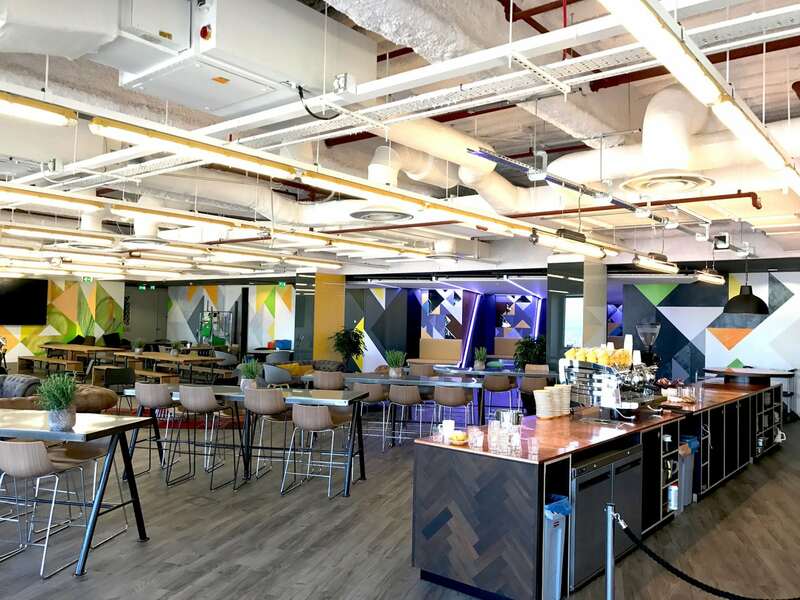 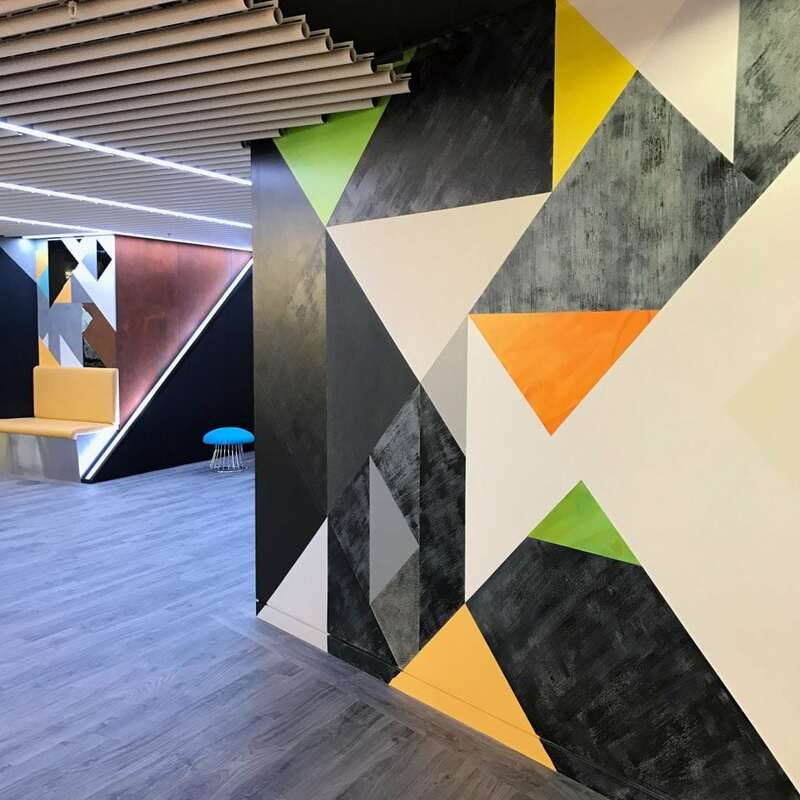 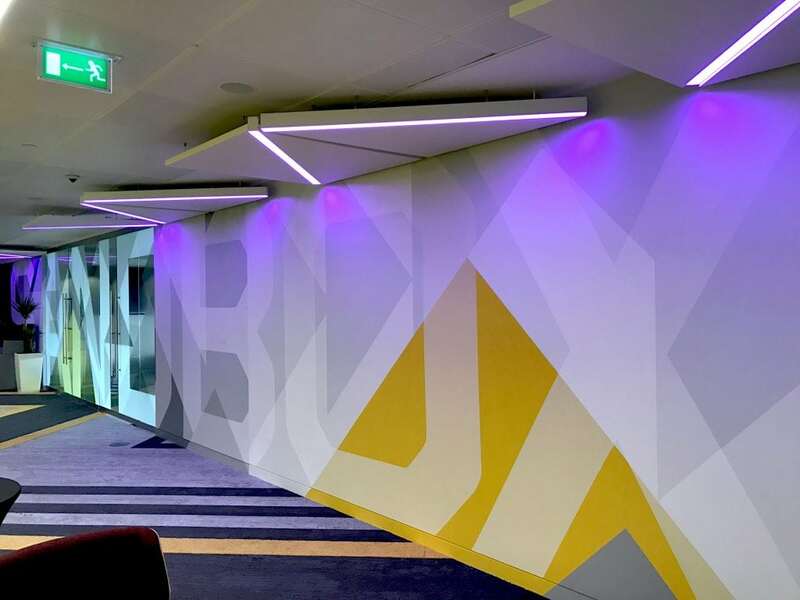 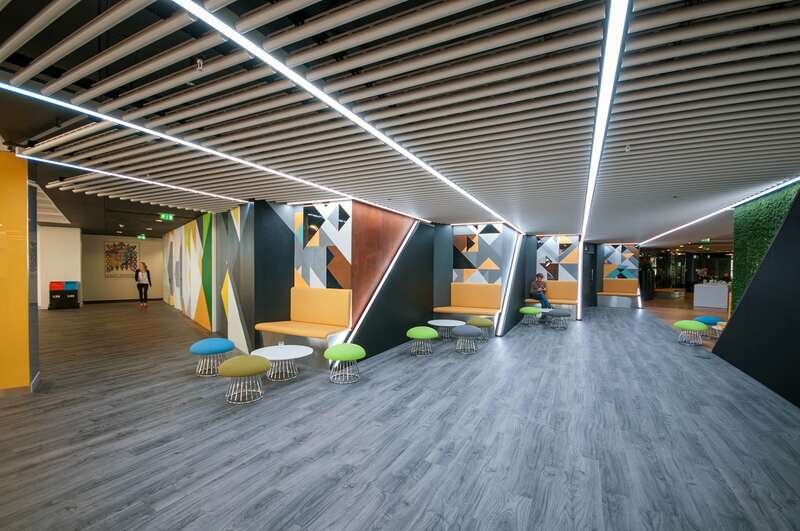 We used a unique mix of art and graphics to create a vibrant environment, designed to inspire and energise the companies using it. 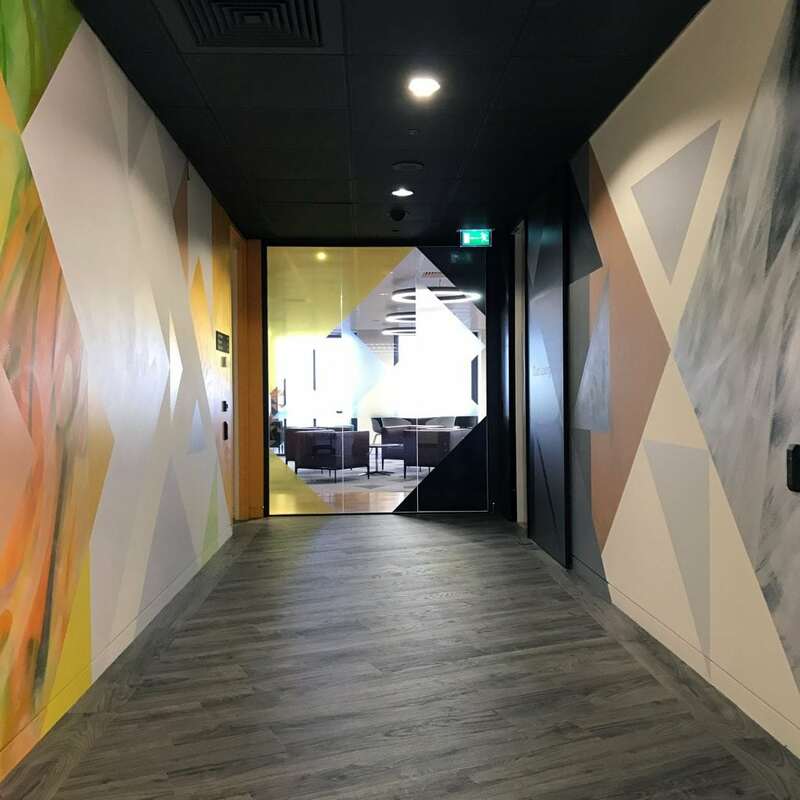 At the heart of the project were 5 large-scale hand-painted graphical murals, complemented by printed glass vinyl graphics. 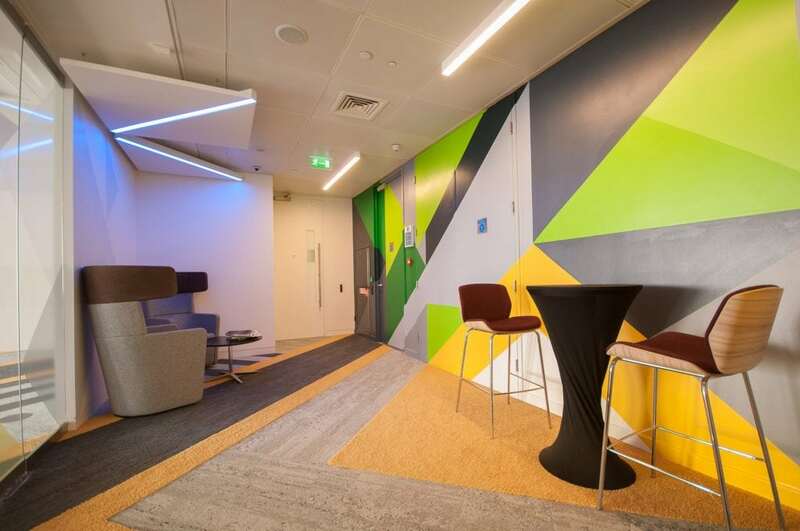 Different work areas within the space have their own slightly different design, so each area is clearly defined. 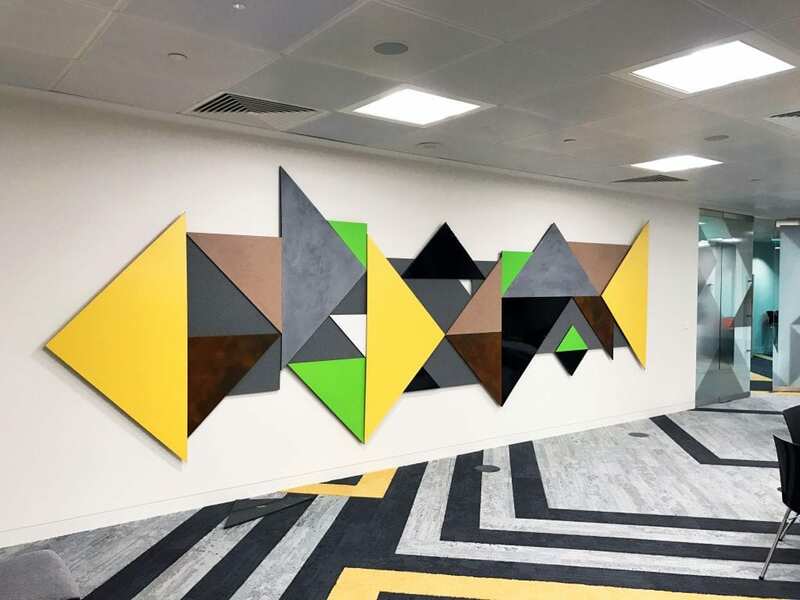 A variety of different painting techniques and finishes were used including concrete effect brushwork, granite effect spray paint and abstract graffiti. 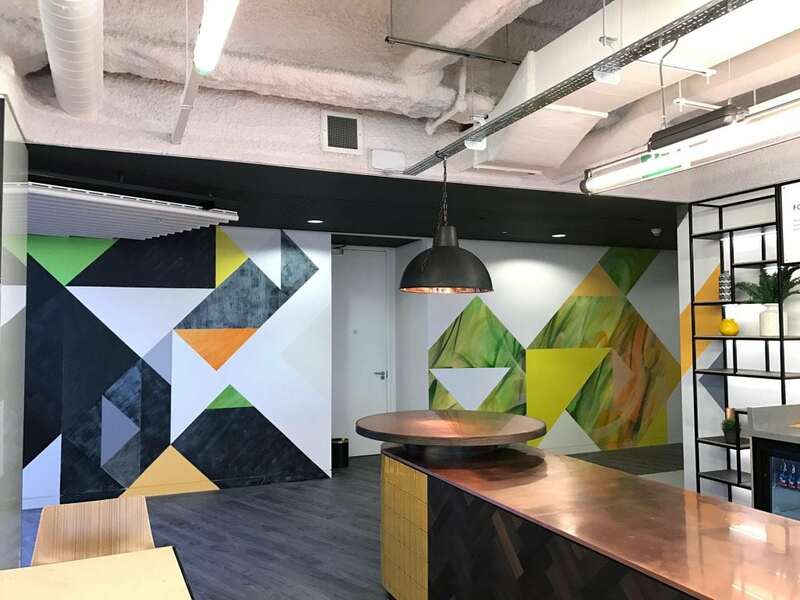 The result is that the bespoke hand painted murals have a depth and energy that digital printed applications wouldn’t have achieved, so creating the required premium look and feel to the office environment.